Was a fascinating and superb match to watch - the first 20 minutes were great, and I couldn't see Barca getting back into it when they went down to 10 men - but fair play to them, they pulled it back. With the way Wegner's been managing I'm surprised Arsenal are now third in the table with Liverpool creeping up behind them. a bad patch going out of so many competitions in a short space of time for the Arsenal - and although thier style of football can often be a joy to watch, the other side of the coin of their sportsmanship and attitude let's them down big time. Who'd you fancy to win out of those 2 games Scout? Any team stick out for you to win the Champions League? Some troubling and disturbing scenes in the European football this week - hopefully it's a blip and won't be repeated anytime soon. Just wanted to recap this scoreline cause its still not hitting home with me. Premier football is dominating europe once again. Hoorah. Even if AC Milan did make the final they will have to beat a top premiership side to lift the cup now. Although a ManUtd vs LFC final would be a dream climax to the season. 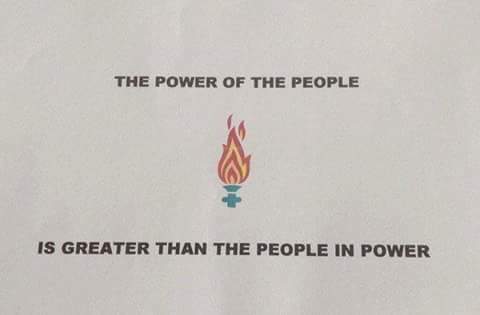 It has been 18 years since 96 people, including my lovely son Kevin, sadly lost their lives at the Hillsborough football disaster and still the fight for justice continues. At the inquests, the Coroner imposed a 3.15 pm cut off time stating that all 96 would have been dead or brain dead by that time, so no evidence was heard after that time when Hillsborough was at its worst. Over the years I have tracked down everybody who helped Kevin that day and to my horror found out that Kevin was not dead by 3.15pm. He died at 4pm in the arms of a police lady calling for his MUM. When the pathologist explained Kevin’s injuries to the jury, he told them that Kevin was the worst of all the 96. I was horrified as I had said goodbye to Kevin and he looked lovely. He just looked asleep; there were no facial markings on him. I consulted a forensic pathologist who told me Kevin did not die from traumatic asphyxia and would not have been dead or brain dead by 3.15pm. Kevin would have been able to speak the word ‘MUM’ and he would have survived up till 4pm that day when he died in the arms of the police lady. Kevin could have been saved - all he needed was oxygen. Kevin did not fit into the 3.15pm cut off time so witness statements were changed. I was told lies about my son’s injuries. I then decided to take the system on. I cannot live with all the lies just to protect their own, what I cannot come to terms with is the way the families of the dead and the survivors have been treated. Myself and five other families went for a judicial review in 1993 opposing the 3.15pm cut off time for the 96, but we were not successful. My numerous submissions to the Attorney General asking him to give me a new inquest into the death of my son Kevin have been refused. Roger Cook presented Kevin’s case in a documentary and helped me uncover more of the Hillsborough cover up, including witnesses that had never been called to give evidence either at the Taylor inquiry or the inquests. These witnesses would have been able to tell the jury at the inquests that people were still alive at the 3.15pm cut off point. Tony Edwards, an ambulance man who the police said was never at Hillsborough, was able to tell me how the police cordoned him off at 3.37pm that day when he had orders to go straight to Lapping Lane as there were fatalities. Tony moved through the cordon and went straight to the goal at Lapping Lane. There were 42 ambulances behind him and they did not follow. People were alive and dying at this time. Tony was horrified, he told the fans to take their friends down to the Penn stone end of the ground, as there were ambulances to help their friends. Myself and the families of the 96 were always led to believe that they could not get ambulances on the ground due to ramps but Tony tells a different tale. The West Midland police had changed the police lady’s statement and suppressed evidence at Kevin’s inquest. When I submitted the new evidence to the Attorney General, I was again refused. The barristers who had waivered their fees many times have always told me that if Kevin gets his inquest then it will open the floodgates. The new Labour government promised the Hillsborough families a scrutiny into the events of that day. We were told we could submit any new evidence to Judge Stuart Smith and he would send it to the relevant department. Yet again, the families were stitched up and given no answers. The evidence was just twisted and turned. We had reached the end of the road legally, with nowhere to go. I decided to write a book to let people know what extremes the system would go to cover up their own mistakes and protect the people who were to blame for Hillsborough. This was my justice; I had not failed my son, though the system had. The truth of what they did to Kevin and the other 95 who died with him will always be there. Then my solicitor contacted me to tell me about the new European ruling ‘The Right to Life’ which related to Kevin’s case. This is what my solicitor, my barrister and I have been pursuing for the past 4 years. Our first move was to submit all the evidence in this country to give them another chance to give us justice; but again the system failed. On the 12th August this year I submitted all the evidence to the European court of Human Rights under Section 2 of the Human Rights Act, The Right to Life. 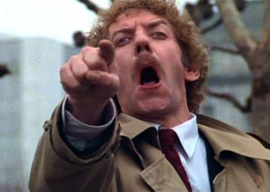 Kevin died in the hands of the state and is entitled to a thorough investigation into how he died. As the next of kin, I have the right to a full investigation into how my son died, these rights have been repeatedly denied due to the 3.15pm cut off time. Europe is the last chance for any sort of justice, I have heard from the courts and they are now looking at Kevin’s case. I have sent all the evidence that I have uncovered over the years, evidence from some of the highest forensic pathologists suggesting that Kevin would not have died by 3.15pm and would be alive today if oxygen had been supplied. I have sent evidence that West Midland Police interfered with witness statements and suppressed vital evidence. I tracked all the Liverpool fans that carried Kevin that day, I just hope that Europe will now give us justice. ^ After 18 years of police lies; missing, suppressed and changed evidence; cover-ups; broken promises from politicians; the lies of the UK gutter press; Justice may just get a chance in the European Courts. Good luck to Anne. Edit: Anne died of cancer at the age of 62 on 18 April 2013. 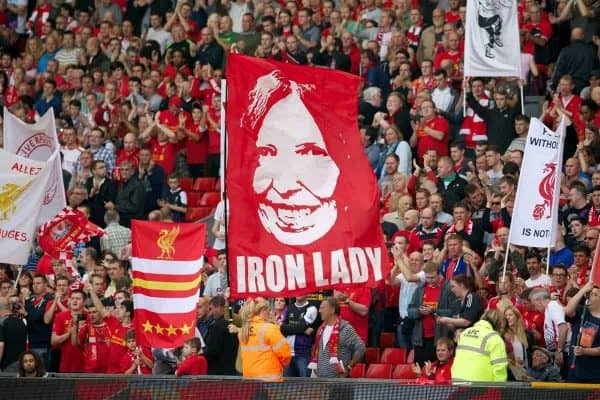 "Anne Williams, who has died at the age of 62, suffered the loss of her beloved 15-year-old son Kevin in the Hillsborough disaster of 1989, then dedicated her life to challenging flawed medical evidence accepted at the inquest, and its verdict of accidental death. A mother of three from Formby, who worked part time in a newsagents, she tracked down witnesses, obtained medical opinions about Kevin’s death from some of England’s most eminent doctors and levelled repeated legal attacks at the Hillsborough inquest. With other families of the 96 people who died at Hillsborough, the worst stadium-related disaster in British history, she was refused a judicial review of the coroner’s rulings in 1993, then had three applications to the attorney general turned down. In 2009 an application to the European court of human rights was rejected as out of time. But finally, on 12 September last year, Williams lived to see the truth about the disaster fully established, with the report of the Hillsborough independent panel, chaired by James Jones, the bishop of Liverpool. It confirmed the facts she had known all along and refused to see denied. The Sheffield coroner, Dr Stefan Popper, had ruled that all the victims had received irreversible crush injuries and were dead or could not have been revived by 3.15pm on the day of the disaster. The ruling meant that no evidence was heard about the chaotic and failed emergency response by South Yorkshire police and ambulance service to the suffering of so many people. Williams had two other children, Michael and Sara, and three grandchildren, and knew how much the disaster affected the siblings and wider family. She went to live in a hospice before moving in with her brother, Danny, and his wife Sandra, for whose care she told friends she was very grateful. She lived long enough to savour the day the inquest was quashed, in a damning judgment of the high court on 19 December, including the ruling that the 3.15pm cut-off was “not sustainable”. Stricken by the cancer, pale and frail, Williams was determined to be at the Strand, where she arrived at the court in a wheelchair, accompanied by Danny. She always rejected the inquest’s 3.15pm evidence “cut-off” because she discovered that Kevin had died in the arms of a special police constable, Debra Martin, at 4pm. Martin had testified that Kevin had a pulse and that, just before he died, breathed a final word: “Mum”. Martin’s statement, and that of another witness, off-duty police officer Derek Bruder, were later changed following visits from the West Midlands police, the investigating force into Hillsborough, to suggest there were no signs of life after 3.15pm. Martin has since claimed she was pressured to change her statement, Bruder officially complained that his evidence was not presented properly to the inquest. Williams sought medical opinions about how Kevin died from some of the country’s most senior experts, including Dr Iain West, consultant forensic pathologist at Guy’s hospital. West contested the inquest finding that Kevin had died from traumatic asphyxia, arguing that he died from neck injuries and could have been treated and possibly saved. Yet Williams could find no court prepared to accept her appeal or that any of the evidence in that inquest was faulty. It has finally been accepted, following the panel’s report, that the portrayal of the Hillsborough families and campaigners as whingeing scousers was a misrepresentation almost as foul as the stories that South Yorkshire police peddled to shift the blame on to the supporters. Williams and the other families fought with remarkable implacability and unity that police campaign, the flawed inquest and other legal processes that left not one person or organisation accountable for 96 people dying at a football match. It is now accepted that the families fought this battle, with no glimpse of vindication for so long, only out of love for their relatives. 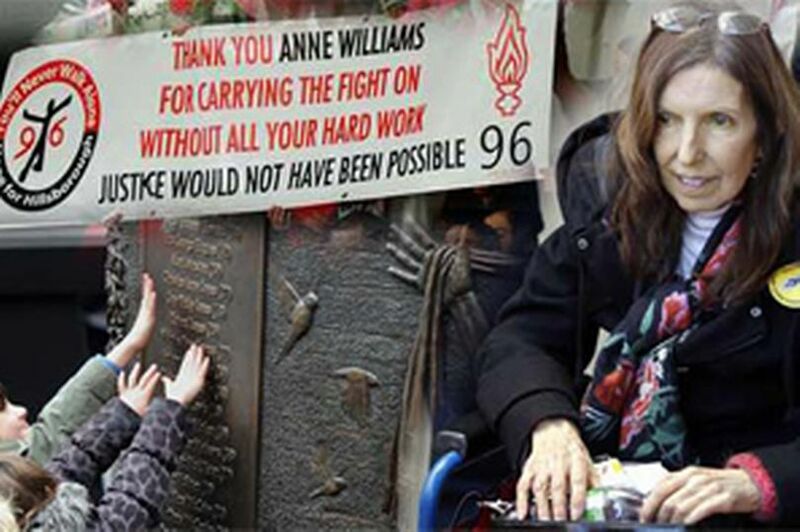 So, at the end of her life, Williams, with other Hillsborough families, was recognised not as part of some Liverpool rabble but as a shining example: an everyday person embodying the extraordinary power and depth of human love. Williams had defied medical advice to attend, and watched quietly from her wheelchair. Three days later, she died. She was proved right by the end of a life’s mission, and greatly and widely admired. Like her son Kevin, for whose good name and memory she fought so indomitably, she will be deeply missed." Liverpool are at home to Chelsea in the 2nd leg of the CL semi-final - the 1st leg finished 1-0 to Chelsea. top sig ScoutTrooper hope we do it tonight - couldn't sleep last night with all the excitement, nerves et all. C'mon the RedMen. Roma are also through to the CL Semi-Finals - after beating Barcelona tonight 3-0 (going through on away goals after finishing 4-4 on aggregate). Did anyone watch Real vs Juventus? What a joke. Yes mate - very harsh on Juventus that - and a fantastic comeback to pull it back to 3-3. Not sure how the ref gave that penalty from his angle, even the view of the ref’s assistants wouldn’t have been great to give a penalty there. The 4 CL semi-finalists are Bayern Munich, Liverpool, Real Madrid & Roma. The Draw is Friday 12 noon, UK time. Oh good there is a football thread ! This week’s european cup games has been totally mad. 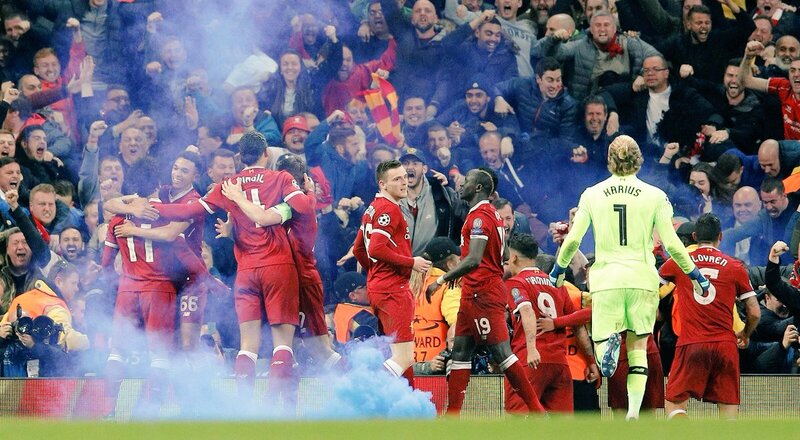 The Reds disposing of City, Roma turning the tide against Barça, Juve being so close to eliminating Real, Marseille at last in a semi-finals 14 years after, Salzburg scoring 3 times in 5 minutes to secute a remontada of their own, etc. What a fantastic week! For the semi finales, I’m for OM v Salzburg (but I wouldn’t mind RBS winning the game only if it means winning the trophy) and Bayern needs to settle the score against the very hard to defeat Real-Referee (😉) team. Oh good there is a football thread ! That’s way too much football. I’ll pass threads for finished world cup tournaments. Well I think any threads are too many (j/k, I’ve come to appreciate the World Cup in recent years) but I was just pointing out there’s more than this one that you’ve just discovered.